GSTIN stands for GST Identification Number. It is a 15-digit number provided by the GSTN. Let’s look at the format of the GST number you need to verify GST number. The first 2 digits of the 15 digit GSTIN will represent the state code. The next 10 digits will be the PAN Number of person or firm engaged in Business. The 13th would represent the number of registrations an entity has within a state under the same PAN. 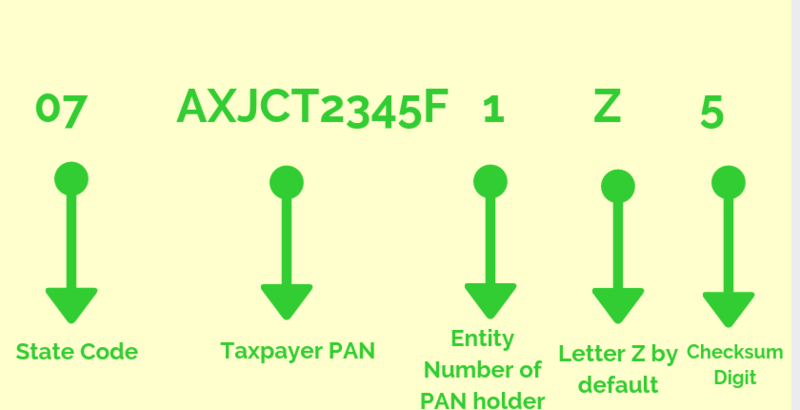 It will be an alpha-numeric number (first 1-9 and then A-Z) on the basis of a number of registrations a legal entity (having the same PAN) in the same state. The introduction of the GST regime has been revolutionary for the taxation system in India. however, there has been a constant uprising in the pattern of misuse of the GST number as well. Many customers are under the perception that everyday commodities have become 12-18% expensive under the new GST rules. Under the new mechanisms, ignorance of the inner workings of the taxation system, many businesses are extracting illegal revenues.